Made with hand selected finest nuts of the Shea tree in Ghana. 1 POUND JAR - Packaged in a resealable and recyclable container for easy access and storage. Great for DIY Skin Care! 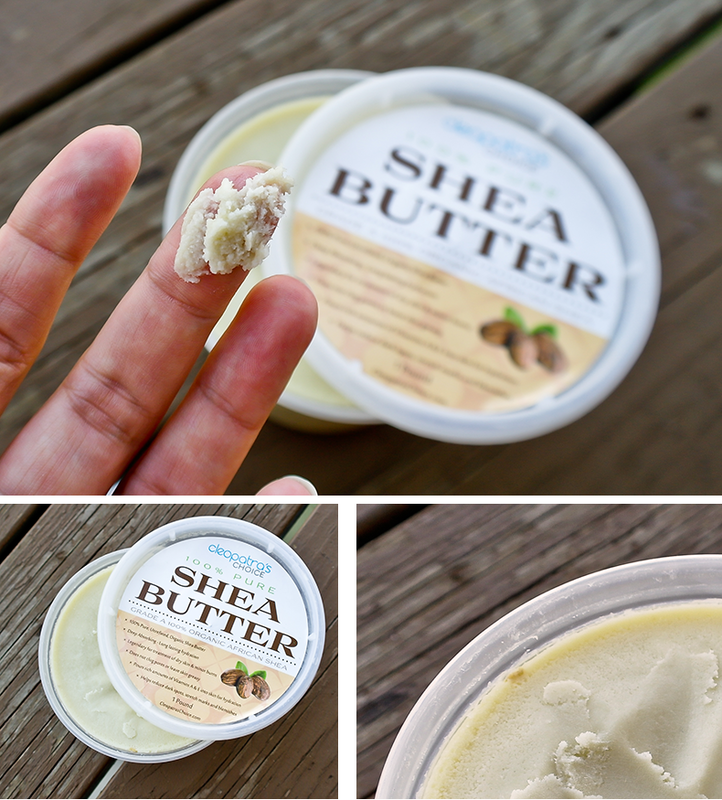 • Our Shea Butter is used By Many DIY Skin Care and Hair Care Pros! • Does not clog pores, hypo-allergenic, Absorbs Quickly and Doesn't Feel Oily! Both my husband and I use many products - both skincare and haircare - containing Shea butter, but I have never used a 100% pure organic shea butter until now and I am starting to wonder why on earth did I waste all the money on expensive beauty products that contain only a small percentage of this amazing stuff? 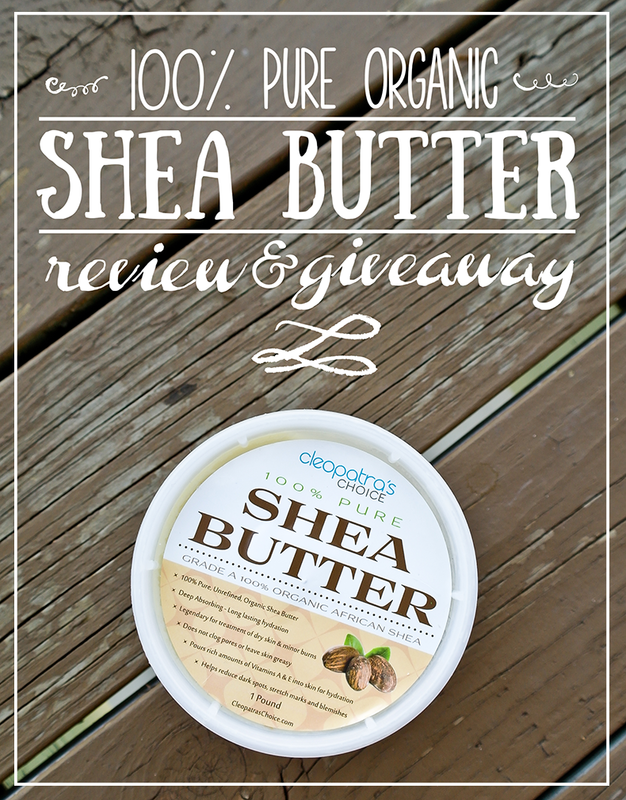 While I can't tell you how Cleopatra's Choice Shea Butter compares to shea butters from other companies, I can definitely tell you about my experience using it. First thing I noticed when I started using it is the pleasant nutty fragrance it has. It's not a very powerful smell and it fades very quickly, so even if nutty fragrances aren't your thing, you shouldn't be bothered by it. Personally, I find this smell rather comforting and very earthy, so I actually like it a lot. Second thing I noticed is the thick and packed consistency and slightly chunky texture. It's unlike anything I have ever used before. Applying it to your skin straight from the bucket takes a bit of patience, but if you spread it on your palm first and let it warm up for 15-20 seconds, it is much easier. And finally, the third thing is its powerful (incredibly powerful) moisturizing quality. I have never in my life experienced such rich and long lasting moisture, not with other organic products like coconut oil or cocoa butter, and not even with high-end and extremely expensive lotions and creams. My skin felt deeply moisturized and relieved, unlike with other products that only offered a superficial and temporary fix. The feeling is extremely long-lasting, too. 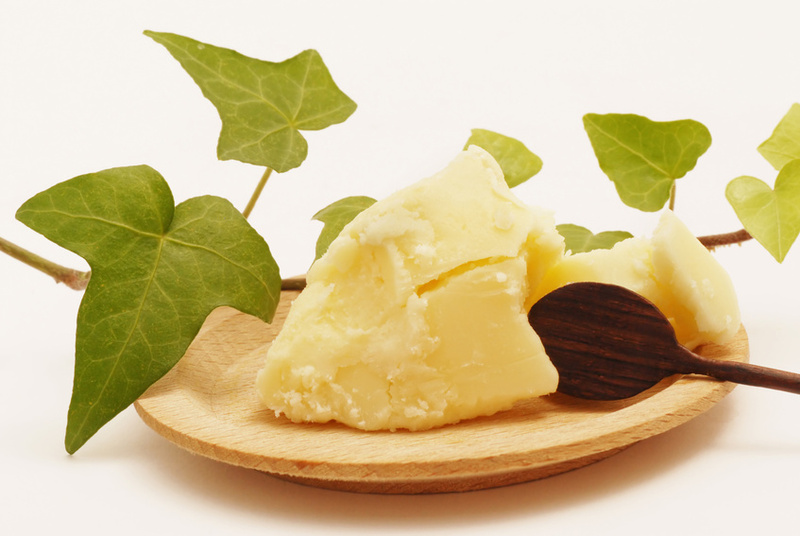 If I apply the shea butter before going to bed, my skin is still soft and smooth the next morning. Moreover, shea butter seems to actually improve the health and appearance of my skin. My husband suffers from eczema - it is particularly bad around his ankles and knees, because whenever he's stressed he scratches in his sleep. The skin in these areas was starting to resemble bluish scale (really parched and flaky) and we have tried almost everything, from organic and natural remedies to over-the-counter medications, but nothing was helping. With this shea butter, he used it maybe 3 or 4 times and we have noticed a huge and significant improvement. The dry, scaly surface began to soften, the itchiness stopped completely and the bluish hue went away. I was amazed by how quickly his skin bounced back, because it was really in bad shape. I would definitely recommend using this shea butter for eczema relief, as well as for any other dry and itchy skin problems you may be experiencing - it really helps! As I mentioned before, the consistency of the butter is pretty thick and it's not easy to apply it directly to your skin. Personally, I have no problems with that, but if you prefer a more creamy consistency, I strongly recommend mixing it with some sort of carrier oil ( like fractionated coconut oil) and maybe adding an essential oil for scent! There possibilities are endless! I suggest you look up some recipes for home-made shea butter skincare and haircare products - there's a ton of them out there!